You Want a Complete Holiday Homeschool Gift Guide This Year? If you are looking for a homeschool gift guide – to help you with your educational gift giving – this year, look no further. Educents 2016 Holiday Homeschool Gift Guide is here. Helping you give gifts that matter. After all, good education is a gift. A gift that lasts a lifetime. One that can’t easily be thrown on top a pile of other gadgets and trinkets. As homeschool parents, we want to provide the gift of learning to our children. Because it is a gift that will enrich them while also fulfilling our desire to nurture. There have been studies showing the direct physiological benefit to those who give of themselves. Not only their resources, but their time as well. Altruism is a behavior that comes from concern for something or someone other than yourself. …while not obligating them to return the favor. In other words, it is the act of giving without expecting anything in return. During the holiday season, however, parents sometimes find themselves giving differently. We may give, not necessarily to fill a need. But to quiet a want. As a result, we don’t seek help from any type of homeschool gift guide. Instead, we shower our children with the trendiest fashions. The latest phones or computers. 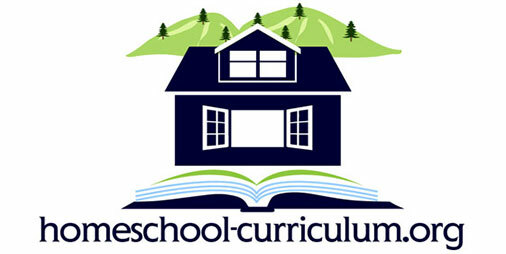 The most popular homeschool curricula. At times, we skip all of that and just hand them the money. Let them choose their own gift. At least, we know they’ll like it. Somehow, we manage to convince ourselves that they need these things. A lot of this behavior may stem from overexposure to advertising. After all, the job of advertising is to change what we Want into an absolute Need. …some holiday advertising may cause tension. So, we must give thought to the gifts we choose for our children. Unfortunately, a lot of holiday gifts are given to appease. Which then adds to a sense of entitlement. In contrast, a truly meaningful gift – one that matters and fills a need – brings a sense of gratitude. Gratitude for the receiver that you took the time to think and choose an appropriate gift. It also brings a sense of gratitude to the giver. Gratitude for those things you DO have. A contentment in life. As well as an understanding between Want and Need. Giving also gives a sense of empowerment. You are in control of where your money is spent. Not that you don’t have control by giving the money directly. However, when you give a meaningful gift – emphasizing that no strings are attached – you empower the receiver as well. Your children’s actions can now be based on love and respect. We are now in a season where giving is expected. Why not give gifts that will last a lifetime? The gift of learning is a great idea for the holidays. The Homeschool Holiday Gift Guide from Educents is sure to have a gift idea that you and your child will love. 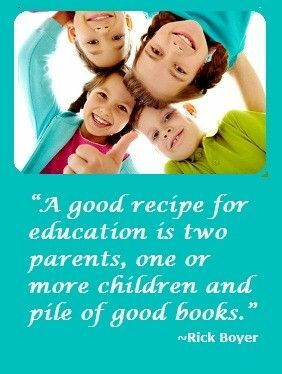 One that will also bring success to your homeschool and beyond. In it, you will find gift ideas for ages 3-18. Gifts that range from the popular Life of Fred Math Books to Magic School Bus Science Club. From Compound It All! word-building card games to Minecraft Mod creation in JAVA. Learning math, like literacy, is the key to endless doors in life. Story-based math learning has proven time and again to be one of the most enjoyable and effective ways to encourage this life skill. Math savant Dr. Stanley Schmidt created lovable characters Fred and Kingie whose adventures are so engrossing kids don’t even realize they’re learning m-a-t-h. Gift a child in your life the beginning series to set them up for success in life. Don’t forget to add a plush Fred doll, adding another positive dimension to learning math. Friends help friends succeed – whether it’s math learning or otherwise. This holistic teaching method is sure to bring joy and success to your homeschool and beyond. First of all, this is the perfect gift to inspire and encourage the kids who ask “why?” The famous Magic School Bus series took hold in the 90’s and has been getting kids excited about STEM ever since. Second, the Science Club Kit takes the story based learning to the next level with comprehensive, hands-on kits that come right to your doorstep each month for a full year. And each month, you have at least 7 experiments! This is a great choice for families with multiple children, kinesthetic, and visual learners – and just a fun, educational activity for a rainy day! The kits include experiments related to Volcanoes, Weather, Water, Fossils, Bacteria and Fungi, Star and Planets – the world around us. Best of all, each kit comes with a colorful, Magic School Bus themed manual and a paired guide for adults. You don’t need to be a science nerd to be able to have fun leading and learning as a parent. There’s also an online clubhouse with further information for young explorers. This is truly a gift that keeps on giving. If you have a youngster, you’ve probably heard of Minecraft. It’s one of the most popular games for kids. And this coding game takes it to the next level. Kids learn to modify their Minecraft world with a year-long online “course”, and in doing so, learn computer programming with Java™! This is not just a fun game. This is a game that stokes creativity and guides kids toward technological confidence: how about giving your child two of the most important attributes in the 21st century, wrapped up in a game?